Karachi, Sep 9 (PTI) Pakistan batsman Umar Akmal has written to the PCB that his outburst directed at coach Mickey Arthur was result of mental duress and pressure. Akmal, in his reply to the PCB show-cause, admitted to breaching the players code of conduct and promised he will not behave in such manner in future. 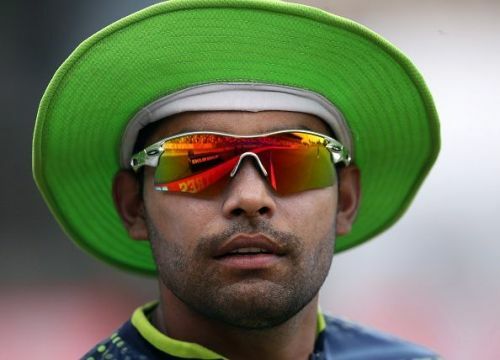 Akmal has been in trouble since he had an altercation with Arthur at the National Cricket Academy last month and rushed to the media to claim that he had been abused by the foreign coach. "Umar has basically admitted that he should not have gone to the media and made accusations against Arthur and he has asked the PCB to accept his explanation and assured them he will not repeat his mistake again," one source said. The PCB had asked for an explanation from the Pakistani batsman for going to the media without seeking permission from the Board and then making accusations against the coach. Akmal in his first reply had called on the PCB Chairman Najam Sethi to appoint an independent committee to probe the incident and said he would be willing to serve any punishment if found guilty of misbehaving with Arthur. Sethi appointed a four-member committee to probe the matter and was not satisfied with Akmal's reply and subsequently issued him a second notice giving him ten days time to respond. The source said Akmal had consulted his father in law -- former Test leg spinner Abdul Qadir -- who had advised him to avoid a confrontation path with Arthur and the board.